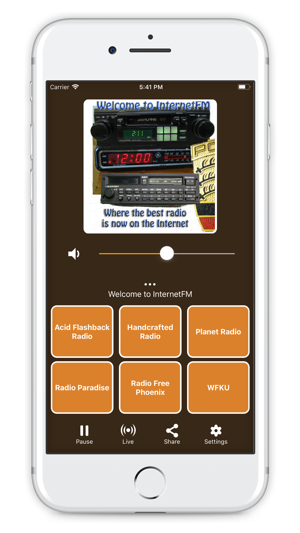 InternetFM presents an easy to use, ad-free way to listen to some of the best rock stations in the world. Features: Quality over quantity. 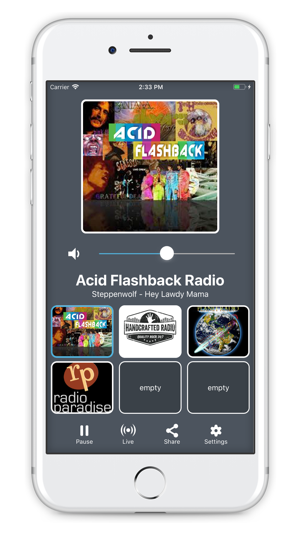 We have brought some of the best independent radio stations in one easy to use app. Customizable, optimized for in-car use. Large buttons, album artwork, song info. 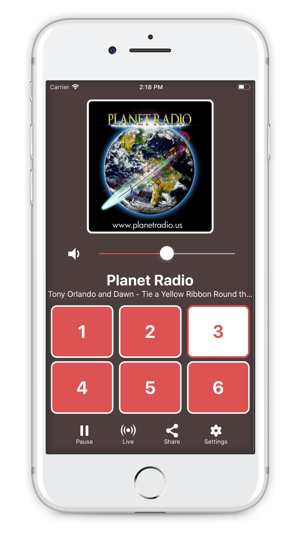 Eighteen assignable buttons, making it very simple to arrange your favorite stations. Easy sharing to social media. Benefits: No pop-ups, no required signup, no hassle. Download and start listening right away. Easy to use. 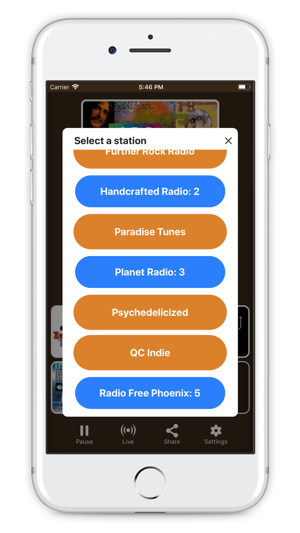 Huge selection of music. No Ads Never cuts out. Easy to use! Great selection of music! © 2018 SRN Broadcasting & Marketing Inc.